Smooth outer layer protects the insulation from excessive moisture. 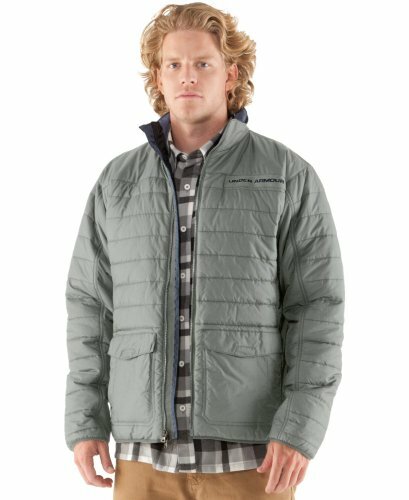 Sleek inner layer makes layering easy without losing the comfortable hand feel. 100g Primaloft® insulation is lightweight, water-resistant, and breathable, with the ability to be compressed without losing it's superior warmth. Secure 2-way entry pockets with warm interior. Interior zip media pocket with audio loop. Zipper garage for low irritation. UA MTN gear that covers bluebird days to blizzards.